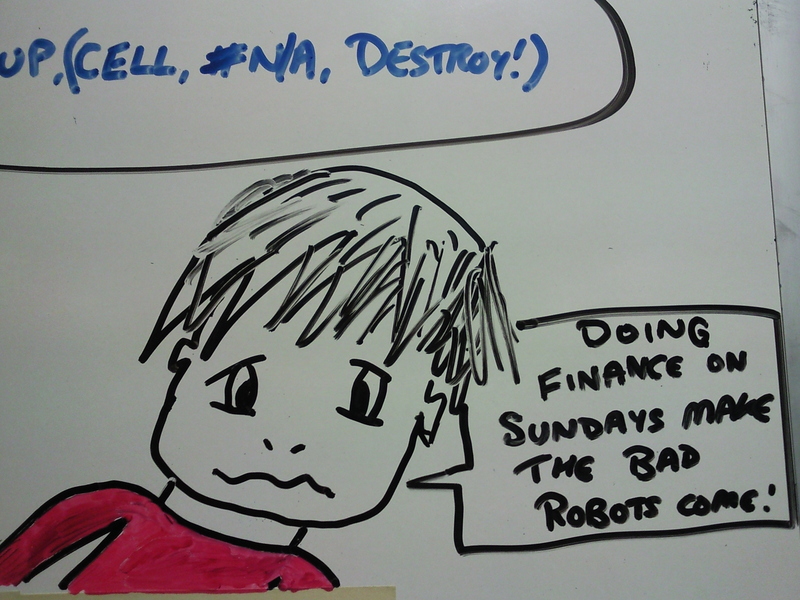 Another Sunday stuck on my own in the office + waiting on long-running processes = yet more whiteboard doodles! 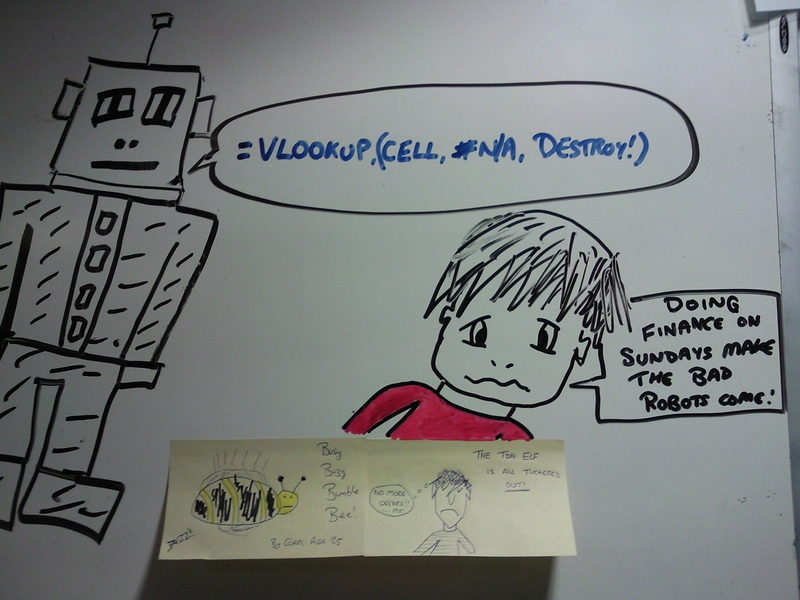 Regular visitors will already be familiar with the evil robot who comes along to help me when bad things happen in Excel, however the post-it notes are from during the week, and the lad is from today (yes, I know that I accidentally edited the sense out of it, and committed a big grammatical sin, however there may be a new grammar pedant robot to eat the kid next Sunday… 😛). You think that my drawing these on the team’s whiteboard would draw some kind of negative comment, but far from it, the post-it notes were actually stuck on there by my manager! Tsk! 😛 Don’t my employers know that it’s a bad idea to encourage the hyperactive children…? heh!